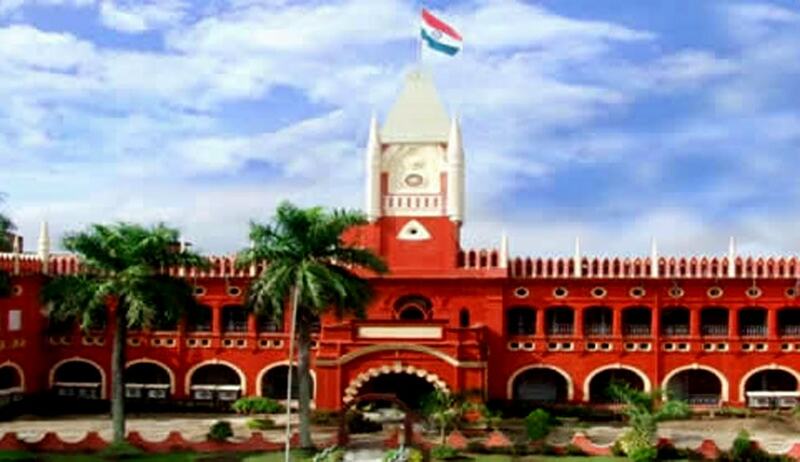 Orissa High Court has rejected the Bail Applications filed by self-styled God-man Sura Baba alias Surendra Nath Mishra and his son Trilochan Mishra in a Cheating and land grabbing Case. Rejecting the Application, Justice S.K.Sahoo stated that the facts of the case is a glaring example of how a so-called spiritual Guru created a pseudo belief in the disciple to cure his mentally retracted son and thereby obtained valuable lands from the disciple in the name of his Trust. The disciple did not get the desired result nor his son was cured of his mental ailment and that is how he came forward with accusations against the Guru for misguiding him, cheating him and depriving him of his valuable property. This verse is penned down to glorify the significance of spiritual Guru. Sant Kabir asks, "If both, Guru and Govind (Lord Krishna) were to appear at the door, whose feet shall I worship first?" He answers, "It has to be the Guru's feet first, because without him, how would I have known Govind?" I sacrifice my life to my Guru as it was he who has shown me Govind. Spiritual Guru teaches the followers to experience the peak of happiness and to overcome their problems in day-to- day life in an intelligent manner. Hindu Sanatan Dharma portrays Guru as creator of spiritual knowledge for which he is called the 'Brahma'; he rears the disciples like his own children, develops different skills in them such as perseverance, dedication and compassion etc., bestows spiritual experiences and restores serenity of mind for which he is called 'Bishnu' and he dispels the darkness of spiritual ignorance in life and enlightens the disciples for which he is called 'Maheswar' and it is believed that a glance of Guru is the manifestation of 'Parabrahman'.The relationship between a spiritual Guru and disciple is based on unconditional divine love and wisdom. A spiritual Guru is a living embodiment of truth who assists the disciple to attain salvation of life. His love is unselfish and above the material desires and satisfactions. A true devotee surrenders before his Guru completely and practises his teachings in a very faithful and obedient manner and does not hesitate in complying with any order of his Master without slightest hitch in the blink of an eye. A fake Guru creates a belief in the disciple that he has supernatural power and therefore plays upon the religious sentiments and misleads the disciple. Sometimes the blind faith of the disciple on the Guru gets disturbed when he does not get the desired result even after following all the advices of Guru. A shrewd Guru then changes his stand and tries to regain the confidence of the disciple by advising him to do something else and in this process the disciple is destroyed forever. Justice Sahoo added. After considering the submissions made by the respective parties and other materials available on record, Justice Sahoo held that prima facie the ingredients of offence under section 420 of the Indian Penal Code are attracted in the Case. “Adverting carefully to the tactical and enthralling contentions raised at the Bar and on perusal of the available records, it is apparent that there are prima facie materials regarding the involvement of the petitioners in the commission of offences which are having far-reaching effect on the society. The nature and gravity of accusations, the manner in which a simpleton disciple was duped by the petitioners of his valuable landed properties in the pretext of curing the mental ailment of his son, the oblique motive behind converting a gift deed to a sale deed, the manner in which the petitioners have amassed huge wealth playing upon the religious sentiments of thousands and thousands of persons in a pre-planned manner and taking into account the criminal proclivity of the petitioners and chance of tampering with the evidence particularly when the investigation is under progress and many important facets of the case are yet to be unearthed, at this stage, it would not be proper to release the petitioners on bail”, held the Court. Justice Sahoo also warned about the fake babas and Gurus who practise fraud, trap innocent followers, rob their hard earnings and lead a licentious life. “Before parting, I would humbly say that India is a land of Muni and Rishis. Their extraordinary wisdom and preaching have a lot of contribution for our peaceful coexistence in a stressful and hostile atmosphere. Our religion believes in simple living and high thinking which are the precious gifts of those sages. People around the globe are attracted towards our country because of its rich culture and traditions. However, in the recent past some fake Babas have created a lot of controversy. They do not practise any penance or achieve any siddhi or realization in life. They practise fraud in a cunning manner, trap the innocent followers, rob of their hard earnings and lead a licentious life. Their claim of having some miracular power to solve any kind of problematic situation in the life of a human being create a mesmerizing effect for some time and attract many a depressed persons towards them in search of fulfilment of their unending materialistic desires. Ultimately blind faith of the followers get shattered when the real faces of Babas get unveiled and they come to realize the reality. By that time much water flows under the bridge. It is rightly said that it is faith that works wonders, there is nothing like wonder”.